Just spent the afternoon in the mountainous country side and it was great! Sketchy in some curves but felt like I've acheived something. Great challenge with the Pirelli Scorpion. I'm pretty possitive I will give a try with these in few weeks. Little feedback from France on mounted tires on HS. The Pirelli Scorpion were great, not so enthusiast first, coming from Bridgestone S20R! But finally, I really enjoyed them on dry and wet road, nice handling, scratching selector... But their short lasting (6000 km, 3750 miles) and price (300€ front and rear) make me chose Pirelli Angel GT given for long lasting and very good grip on wet. Bad choice! Nothing to complain with the Angel GT itself but it doesn't match with the HS. The HS looses it agility and smooth handling due to front tyre low design and the rear tyre doesn't give enough confidence. After 8000 km (5000 miles), not so much for a GT, I fitted Metzeler M7RR (240€). 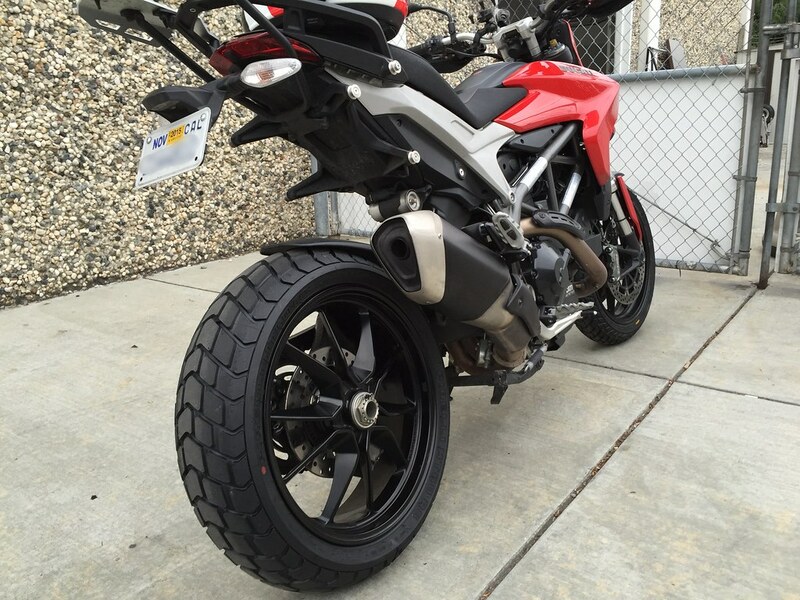 Those tires are made for the HS! Handling, precision, comfort, grip on dry road. Already done 1000 km (600 miles). Track session on end of September. sorry, i cannot complain about the Angel GT, I like them really. Do not know how long they will last, have them since 3000km. But extreme good feeling, exactly the opposit you describe. Michelin PR4's suit this bike so well, IMO. Yeah the PR4's are next on my list for tires.. I'm just debating whether to get the GT's or not. Try the Pirellli Angel GT. They're fantastic. Strong, stable and tons of grip even in the rain. Just to shows how much confident they made me; I've grinded the pegs on the ground barely three days after I've got them installed. They're strong for two passenger. Much, much, much better than the Pirelli Scorpion trail. Just bought a pair of pilot road 4s. What do you think about the performance over OEM? And how many miles do you have on them now? Last edited by AussieHyper; September 9th, 2015 at 06:09 PM. Interesting. 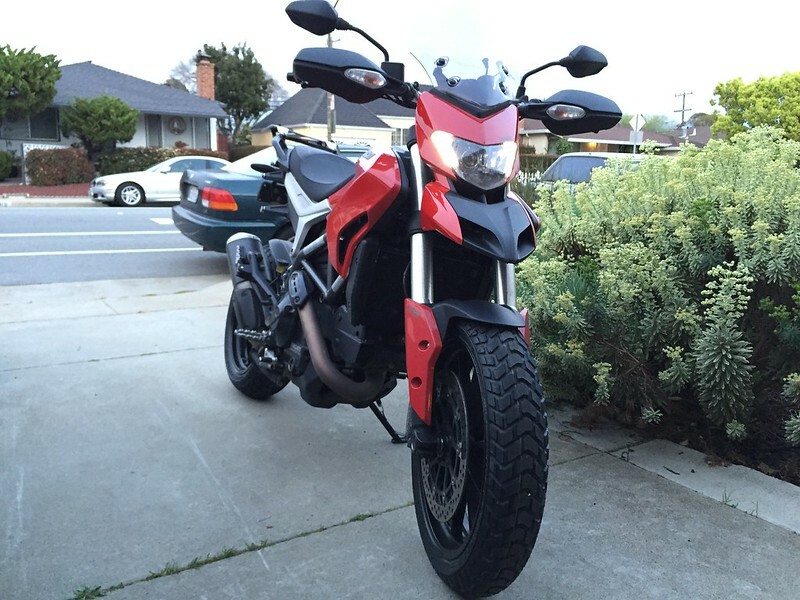 I had the roadsmarts on a prior bike, and they had absolutely transformed the handling. I was between pilot road 4 and road smart 2, and chose pr4 due to roadsmart2 being a bit dated. I'm surprised that the performance was so bad. I'm torn between Pilot road 4 and Dunlop Q3. Which of the 2 tyres would be best thinking of getting a set soon with 4 Wheel Online, hope someone could help me out to decide which brand to pick.